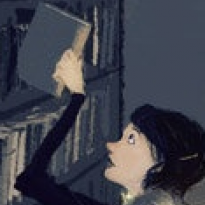 Female Not too short, not too tall Not too skinny, not too fat Am a Librarian (Means I read a whole lot!!) Am A Writer "Lanie" I love that moment when you open a book and sink into it you can escape from the world, into a story that's way more interesting than yours will ever be. Dad… Father… Papi… No matter how you say or spell it, the word father means male parent — a man who is respected like a father. Someone who is protective, kindly and warm. That definition is right out of the Oxford Dictionary. Father is a male person who is in charge of his children, protects them, guides them and shows his children what life will be like for them. It is said that the man is the head of the household. He makes the choices for the family and everyone must abide by them. In many ways, children will look up to their father, try to be like him in many ways and love him unconditionally. For boys, he is their best friend, their guidance on how to be a man. For the girls, he is there to protect them from scary monsters, their shoulder to cry on and their first love. A father will always be there for his children — or at least he is supposed to be. In this day and age, the word father doesn’t quite mean what it used to. Many children in this generation do not have a father figure at home. He’s either dead, working all the time or not even in the picture. In many situations it’s the latter. For some time, my birth father wasn’t in the picture. He wasn’t always there at the dinner table, visitations on some weekends and occasional holidays. He wasn’t always there to protect, to guide. And I got to tell you, it was hard. And as a Christian, growing up without that, how can you look up to your Heavenly Father when your Earthly Father isn’t there for you? If your own blood father isn’t available 24/7 like they are supposed to, then how can your Heavenly Father be there as well? My Dad, Warren, has proven to me that the Heavenly Father is always there to protect you, even if you can’t see him. That He always wants what’s best for us and will never leave us. Warren has been that kind of a father to me, and he isn’t even blood. But it’s not always blood that makes a family. It’s love. And who has better love for his children than God? I’m never sure who reads these Recommended Reading articles, so I don’t know where you are spiritually, but I have no fear in saying I believe in God and know that he will always be there for me. A friend contacted me and told me of this new book that came out called When Father is a Bad Word by Dan Kuiper. 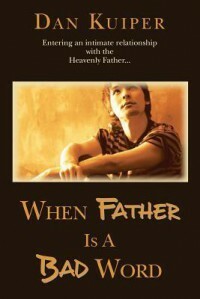 It is a spiritual book talking about children having a relationship with their Heavenly Father and how some of those kids from broken homes question their belief in God. They question if he is ever really there when their own flesh and blood isn’t. Kuiper comes from an abusive father, and Dan, through his suffering, found the love and the healing and the grace from one Father that will never leave him — God. In his book, he helps those who come from homes like he did and tries to strengthen their belief. If you are looking for a spiritual book which describes what children go through in this day of age of broken homes or dysfunctional families and want to help them find that love and grace through God, then this is the book for you.